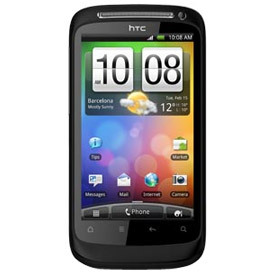 Compare 39 HTC Desire S pay monthly contract mobile phone deals. Compare 3 HTC Desire S sim free/unlocked mobile phone deals. What happens when you take a multi award-winning smartphone like HTC Desire and improve it? You end up with HTC Desire S, showcasing a spacious 3.7 inch screen, a stronger and slimmer unibody design, with a heightened sense of intelligence, speed and clarity. It's reliability on a whole new level. No one has yet rated the HTC Desire S. Click the link above and score it out of 5 based on how awesome you think it is. You can also leave a few comments or write your own review.